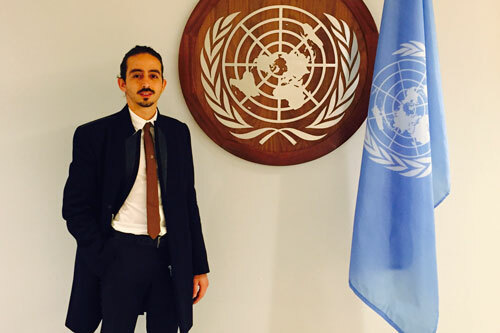 Roberto completed the MA program in Global Political Economy at City, University of London in January 2015 and in July that year he was selected for a six month internship position at the United Nations department of Social and Economic Affairs. As Economic Affairs intern for the UN Office of the High Representative for the Least Developed Countries, Landlocked Developing Countries and Small Island Developing States (UN-OHRLLS), Roberto participated in the creation of the Small Island Developing States – Global Business Network (SIDS-GBN); a web-platform aimed at catalyzing and encouraging international businesses to focus on SIDS as potential market opportunities and vice versa. In autumn 2015 Roberto was able to attended conferences; report on issues relevant to my department; and meet various diplomats and heads of state including the Antigua and Barbuda P.M. Gaston Browne. My advice to fellow City students and/or Alumni is to never give up on your dreams. As a City Alumni, if I can do it … you can do it too.